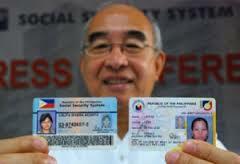 Somebody who live or near from the Espana community and you are seeking for any correct address of the SSS Welcome Rotonda branch in this area. I hope that this branch will help you more, find a place to make your query or evaluating SSS matters in a nearby place where it is more convenient for you. Please mention to the full address and complete details below. Come and visit. This entry was posted in Benefits, Branches, Hotline and tagged location address, sss branches, sss office, sss offices, sss welcome branch. Bookmark the permalink.